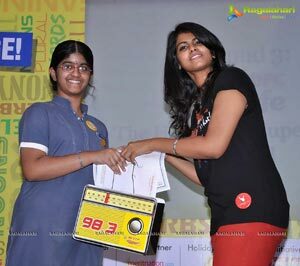 Hyderabad, February 10, 2013: On Sunday, Hyderabad hosted the city finals of Radio Mirchi and HDFC Life’s ‘Spell Bee – India Spells 2013’, Season 5. 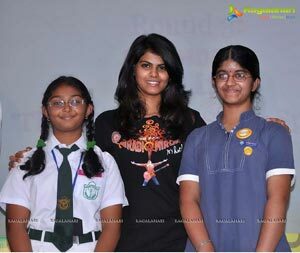 In what can be termed as India’s biggest and the only spelling contest, SADHANA PONNALURI from Delhi Public School, Secundrabad, Hyderabad emerged as the winner along with the 1st runner up A V LAKSHMI from Githanjali Senior school will now proceed to compete in the semi-finals stage of the competition. 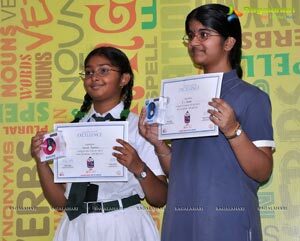 HDFC Life Spell Bee India Spells 2013 is the Indian counterpart of the highly acclaimed Scripps National Spelling Bee, USA. The initial round of this spelling competition received an outstanding response. Hyderabad is one of the 35 cities in which such city-finals will be happening over the month. 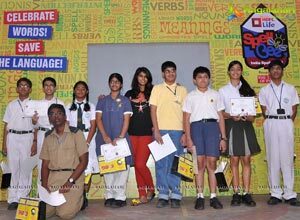 The top 2 spellers from each city will then compete with each other in the next round. Of which, the top 16 scorers across India will battle it out in the Grand Finals of HDFC Life Spell Bee to be held in Mumbai in February, 2013. More than 350 spelling enthusiasts from across the city participated in the 5th edition of HDFC Life Spell Bee, a remarkable surge in the number of participants. This reiterates the popularity of Spell Bee not only among the school students, but parents as well. 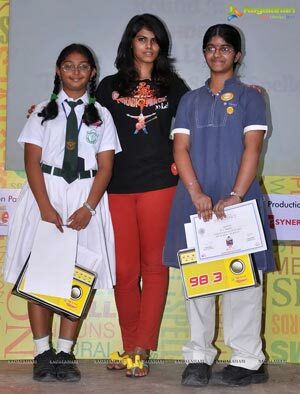 The city final was hosted by RJ Dhirja of Radio Mirchi 98.3 FM was graced by her as the chief guest for the occasion. HDFC Life, one of India’s leading private life insurance companies, offers a range of individual and group insurance solutions. It is a joint venture between Housing Development Finance Corporation Limited (HDFC), India’s leading housing finance institution and Standard Life plc, the leading provider of financial services in the United Kingdom. HDFC Life’s product portfolio comprises solutions, which meet various customer needs such as Protection, Pension, Savings, Investment and Health. Customers have the added advantage of customizing the plans, by adding optional benefits called riders, at a nominal price. The company currently has 31 retail and 9 group products in its portfolio, along with 10 optional riders catering to the savings, investment, protection and retirement needs of customers.